Hey! I have started to make cyberfaces for NBA 2K19. As you know this year I´m working really hard on a realistic roster. You can find it here: https://forums.nba-live.com/viewtopic.php?f=241&t=106138. I included all the rookies and a lot of missing players. Well my aim is to make cyberfaces for all those players with ugly generic faces even with a photo shot portrait. 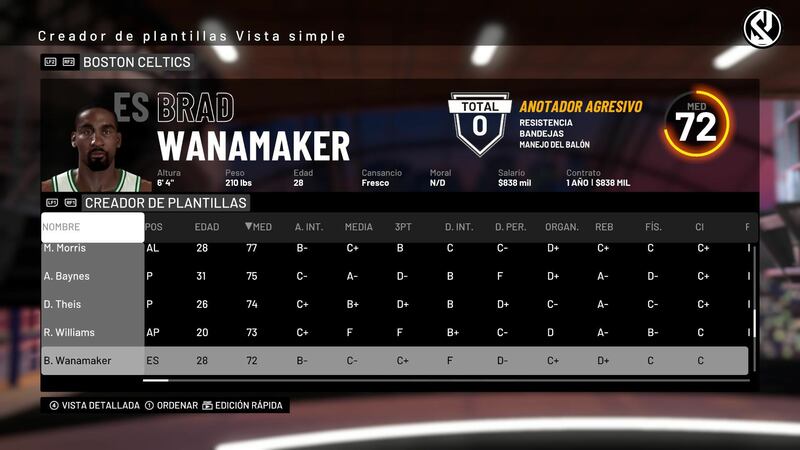 Visit my website: http://www.shuajota.com for more NBA2K Mods, Rosters & Updates. Last edited by Shuajota on Mon Apr 22, 2019 9:20 pm, edited 168 times in total. Last edited by Shuajota on Mon Sep 10, 2018 2:49 am, edited 1 time in total. I fixed the model and the eyes color. Last edited by Shuajota on Mon Sep 10, 2018 9:50 pm, edited 1 time in total. Edited: 3 new cfs released on the top of this page. Last edited by Shuajota on Mon Sep 10, 2018 9:49 pm, edited 1 time in total. Oh man, if you remove shaders on his face, its could be awesome! gtkacz wrote: This is awesome. Thanks guys, James Johnson released. 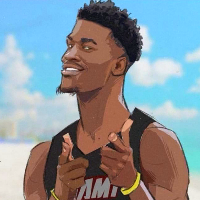 Winslow next ? mini afro ? If you guys want cyberfaces requests, just send me an email to: dnaobb@gmail.com attatching the name of the player and good reference pics in high resolution from different angles. Last edited by Shuajota on Thu Sep 13, 2018 9:43 am, edited 1 time in total. ^^ Heard the hair is more difficult to mod this year. There was a James Johnson someone released in 2K18 with cornrows, near the end of the season, that was fab. I can't think of who it was though. Uncle Drew wrote: ^^ Heard the hair is more difficult to mod this year. There was a James Johnson someone released in 2K18 with cornrows, near the end of the season, that was fab. I can't think of who it was though. Yes I saw by Team Rakker. 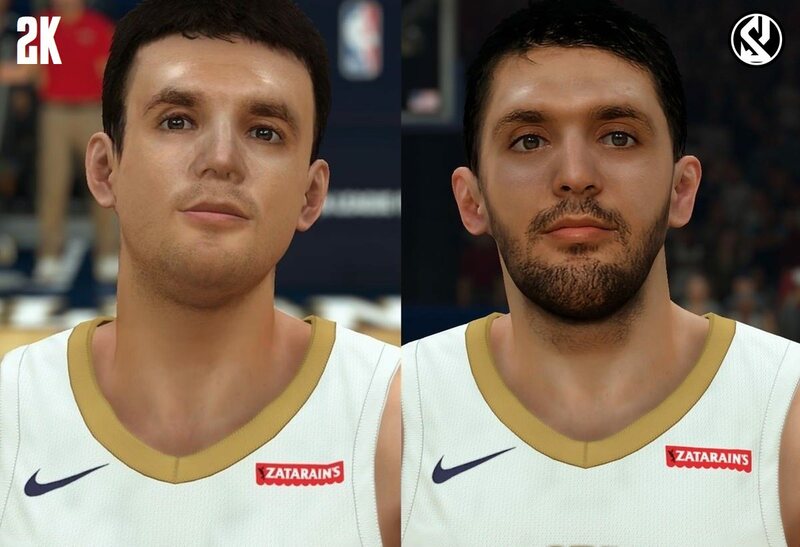 The way to edit the hair in 2K19 is the same. The problem is if you want to convert hair from 2K18. But if I edit it using a 2K19’s hair model is easy for me. If you find a cf in 2K19 with a similar hairstyle, send me a message. I think your Redick looks a little bit 'off' though. All the others are outstanding. Rimbaud82 wrote: Another great job! Thanks bro! Yes I know, I need a good reference pic for JJ Redick, that’s all. If you a find a good one, send me. Ouah ! The Mirotic is awesome, great job ! !